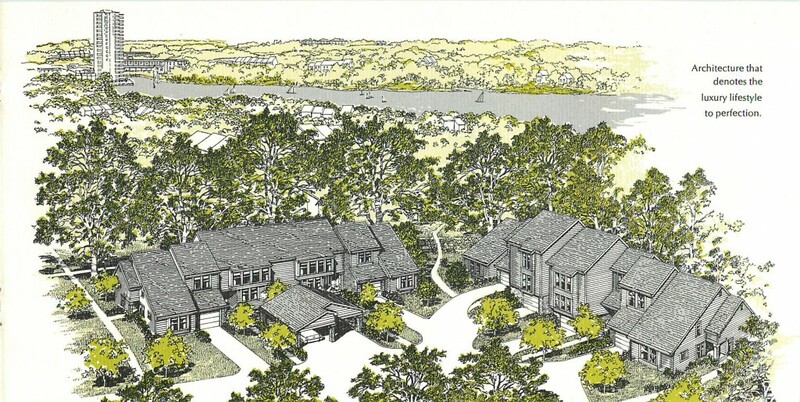 In 1983 Miller & Smith began development of what was then described as the "last remaining parcel of land in the prestigious Reston community of Lake Anne." Orchard Green was designed by Burkus Group Architects a California based company that was well known for producing environmentally sensitive designs. Orchard Green Cluster is comprised of 50 town homes with 4 different floor plans. The property backs into the trails that lead to Lake Anne and is across the street from the Hook Road recreational area. Ranging in size from 1900 square feet to 2700 square feet these properties came to market in 1983 with a starting price of $88,000.00 and went up to $130,000.00 for larger models with all the bells and whistles. Orchard Green continues to be a popular Lake Anne neighborhood that enjoys a great wakable location, mature trees, easy access to recreational facilities and good solid resale values. The original design of these townhouses been easily adapted to changing tastes and modern finishes. Current values on these town homes ranges from the upper mid $400's to just under $500 depending on size and condition. There is one active listing in the Orchard Green Cluster it is listed at $499,900.